I will write a high-converting, persona-based article of 2000 words that'll mesmerize your readers and get you more sales. I will write a high-converting, persona-based article of 1000 words that'll mesmerize your readers and get you more sales. I will write a high-converting, persona-based article of 500 words that'll mesmerize your readers and get you more sales. 2000 Words I will write a high-converting, persona-based article of 2000 words that'll mesmerize your readers and get you more sales. 1000 Words I will write a high-converting, persona-based article of 1000 words that'll mesmerize your readers and get you more sales. 500 Words I will write a high-converting, persona-based article of 500 words that'll mesmerize your readers and get you more sales. 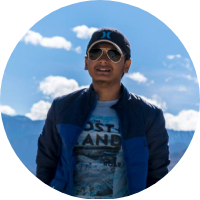 I’m Sudarshan, from India, and I am the founder of a new content marketing agency. Before starting the business, I worked as a freelance writer for 3 years, and managed to amass a client base that would go on to support my dreams of starting a company. I can proudly say I’ve worked with more clients that I can keep count and built relationships that go beyond the exchange of money for services. Today, my team and I are offering you a chance to experience the magic of our Persona-based stories content, using which we’ve been able to skyrocket client’s conversion ratesand earn a forever home in their hearts. We work on authority sites ONLY, and you’ll pay no more than $ 40 for every 1000 words. If it takes 1100 words to conclude the topic, we’ll include the extra 100 words at no cost. Look, if you’re not using STORIES for your niche site, then you’re likely leaving money on the table. Compelling stories told through characters not only help establish trust in your brand, but also build just the right ‘human connection’ that turns your readers into loyal customers. How does it happen? Because our writing instantly connects with the readers and makes them feel as if they're talking to a friend who genuinely understands them. And when a connection is made, you can almost be confident that money will follow. We don’t write like robots. We write from the perspective of actual human beings, with their own persona. They have their own likes/dislikes, opinions, and flaws like your readers do. The clients we've worked with have had conversion rates increase from 4-6% to a whopping 16-25%. YES! That’s 4-5 times more than what they were making before working with us. When you do business with us, you’re not paying for just the words; you’re paying for characters that will be with you for life. 1. Place the order and sit tight for our content strategist to get in touch with you with a form. 3. Next, you give us the article instructions in the same way you’d give them to any other writer. 4. We start working on our own little magic and deliver you content that oozes emotion and makes your audience buy whatever you’re selling. Easy enough? This process takes no more than 10-15 minutes if you’re dedicated as we are. 1. What’s the refund policy like? If we fail to hold up our end of the bargain, we’ll refund your money. That means if we are late, deliver sub par content, or cannot process your order at the moment. 2. Are your writers native English speakers? 3. What’s the standard TAT? We usually deliver 500 words in 2 business days; 1000 words in 3 business days; 2000 words in 4 business days. If we’re late by few hours or a day, you’ll get a discount on your next order as an apology from our side. You can also apply for a refund if you wish. 4. Can’t you deliver faster? Of course, we can! And we usually do. Research takes time, so our motto is “better be late than sorry.” If you’re in a hurry, feel free to choose the 1 Day delivery service from the checkout page. 5. Do I get discounts on a bulk order? 6. Do you write Amazon Affiliate Content? 7. Can I see a sample? Not a chance! We maintain strict confidentiality of our clients’ niches, so please don’t ask. You can ask me as many questions as you like via PM.